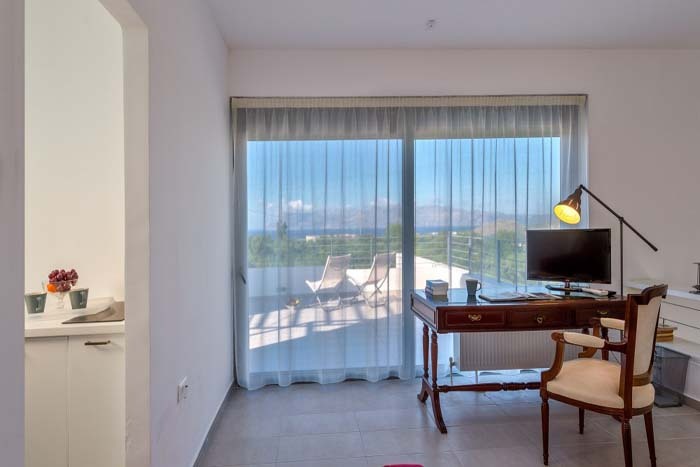 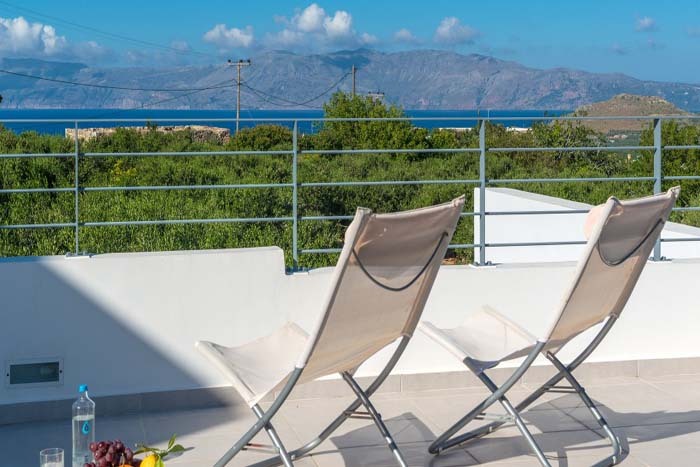 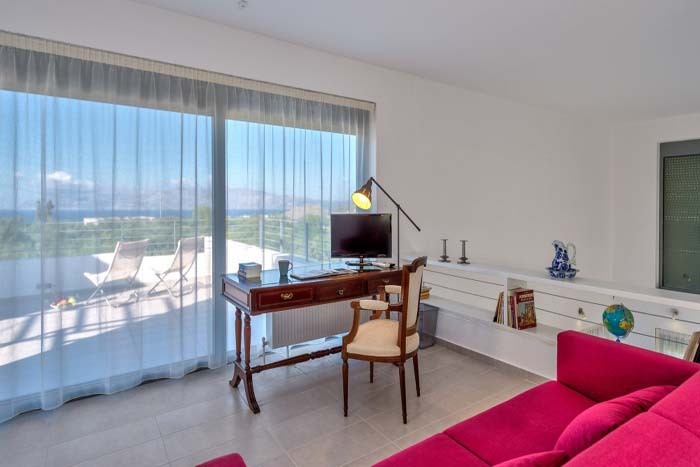 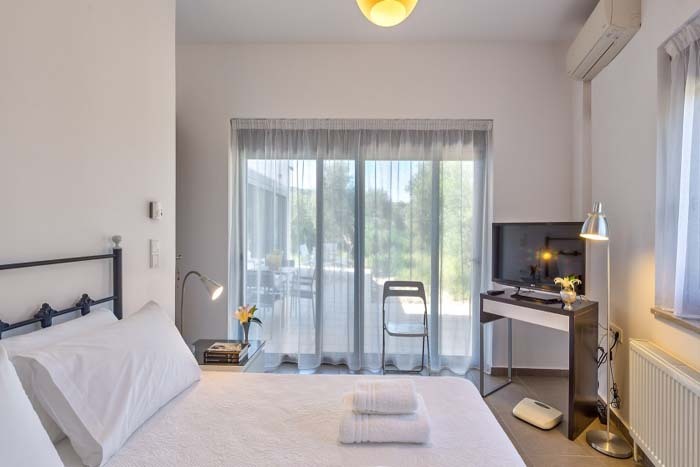 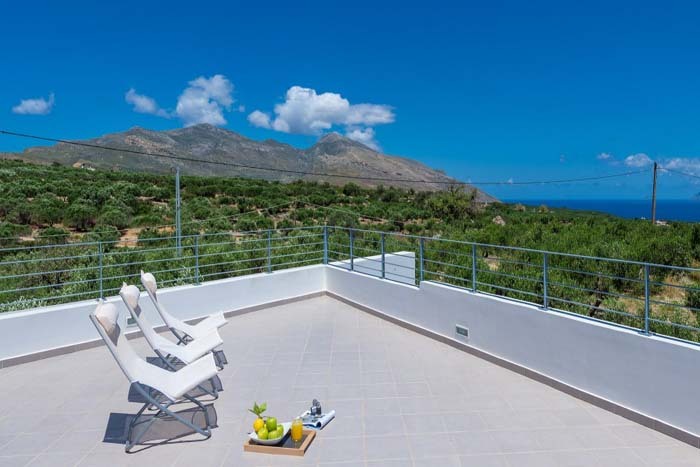 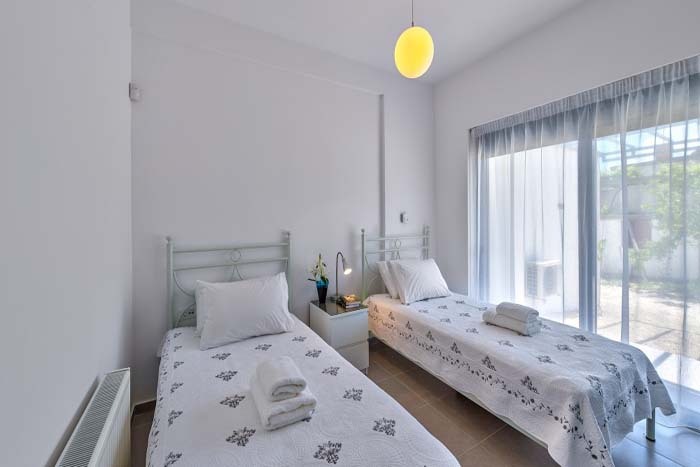 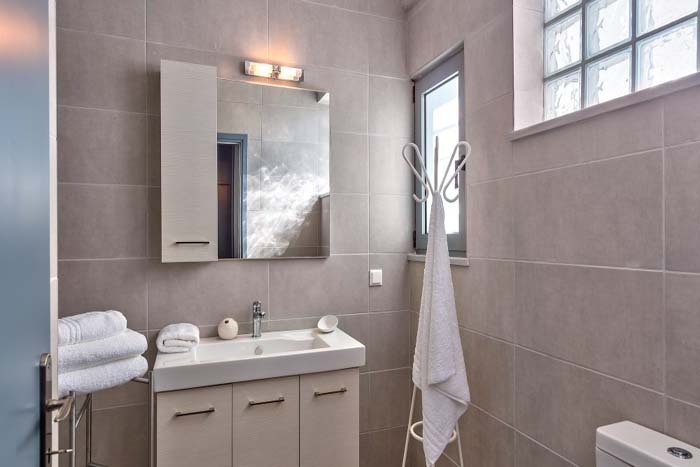 Gramvousa Villas are two modern, luxurious villas located in the area of Western Crete- Chania, near the village of Katefiliana. 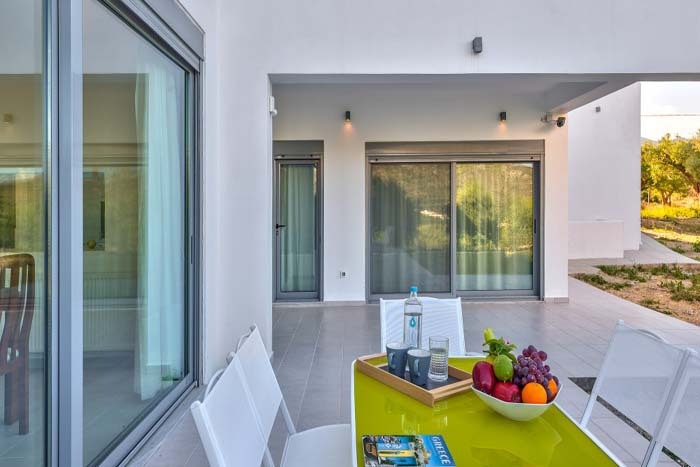 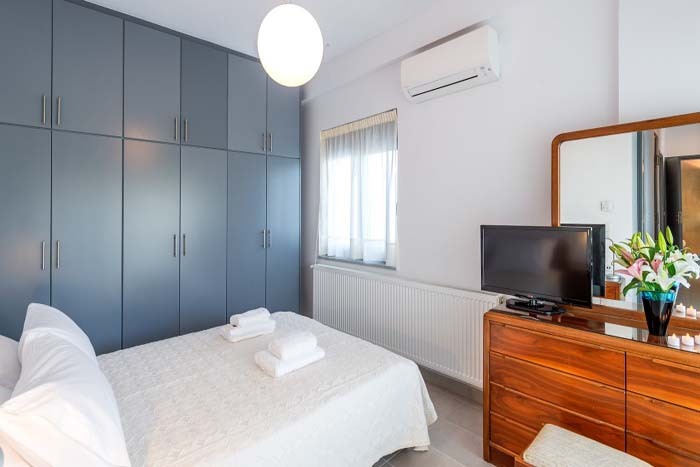 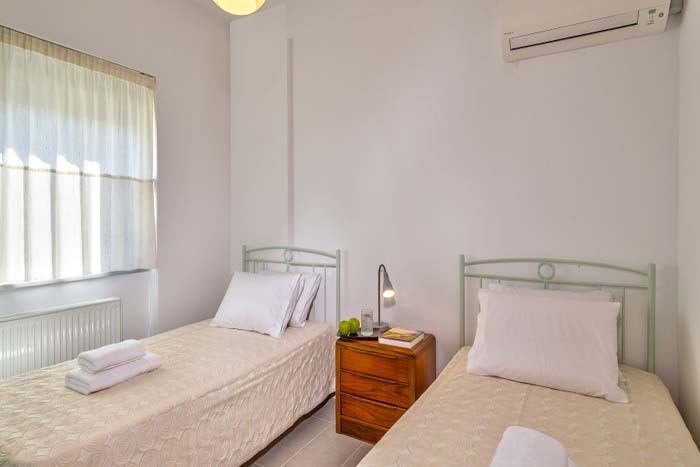 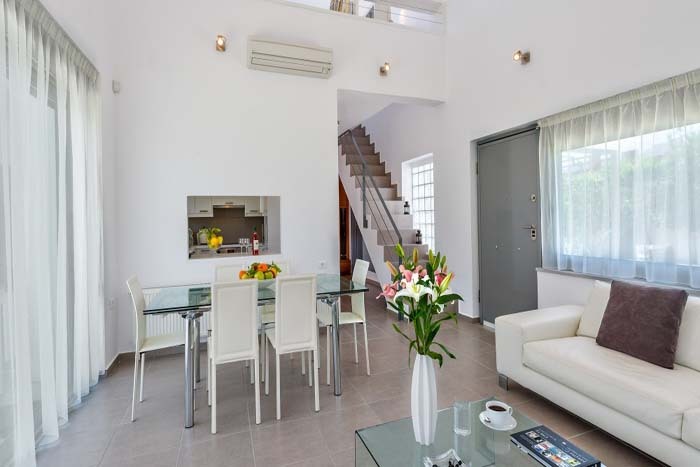 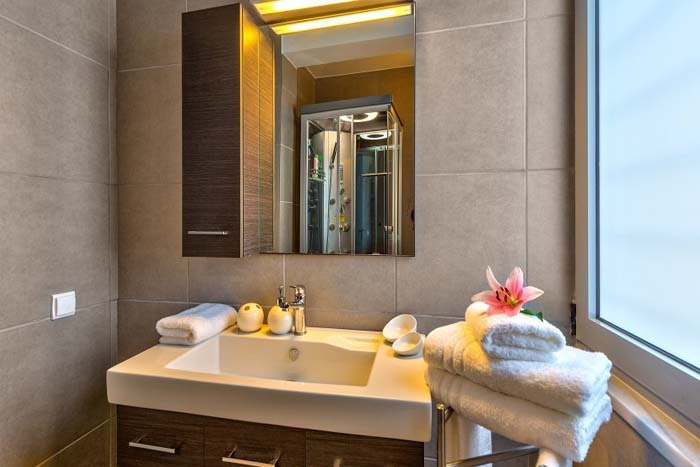 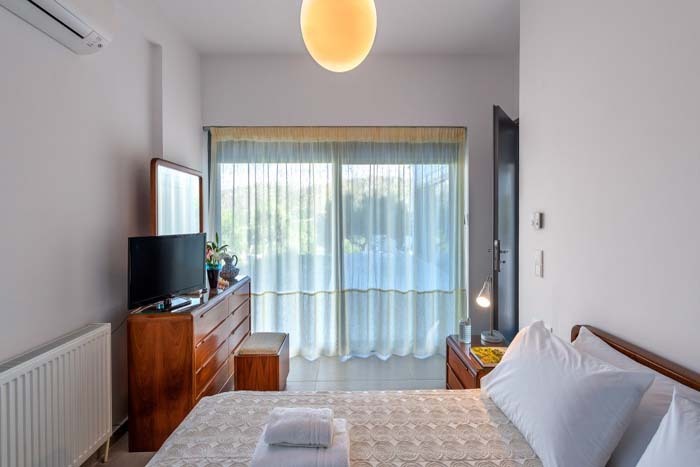 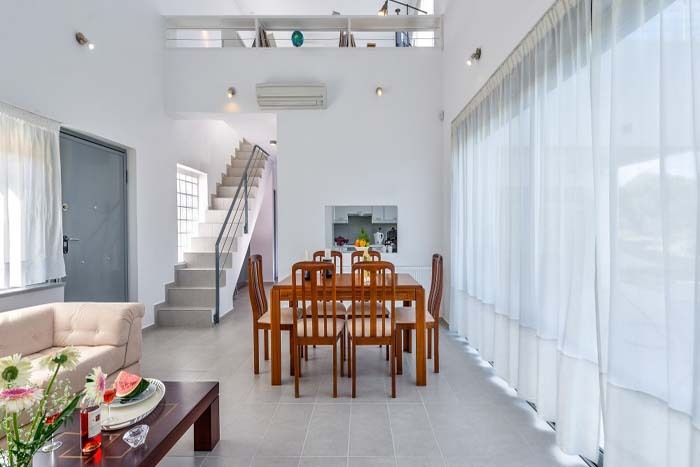 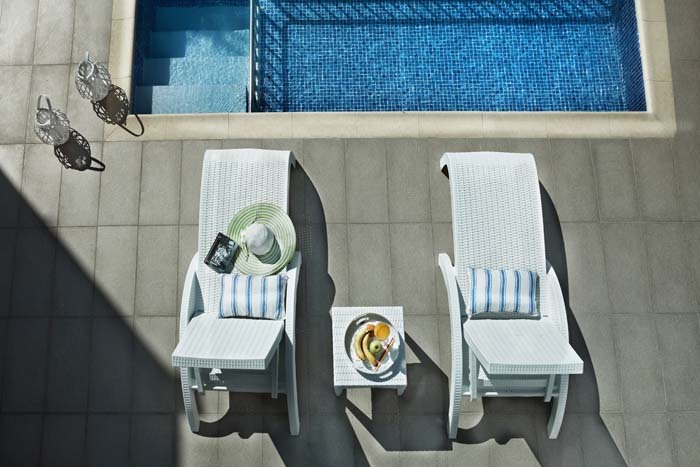 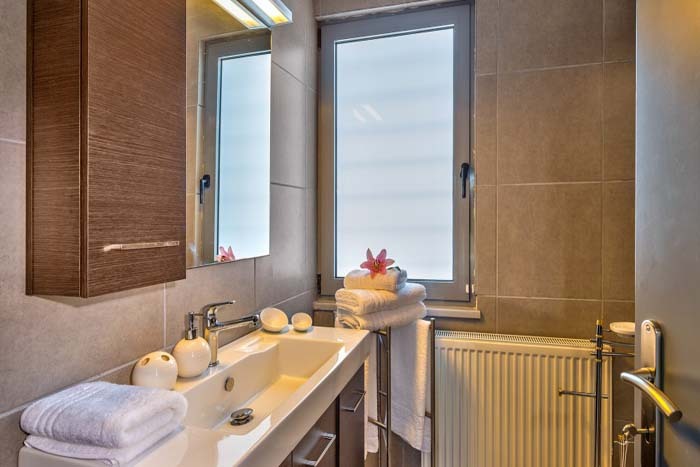 Each villa has two bedrooms and is equipped with a range of facilities, modern appliances and classy furnishing while one of the villas- Villa Hara- also has a private pool. 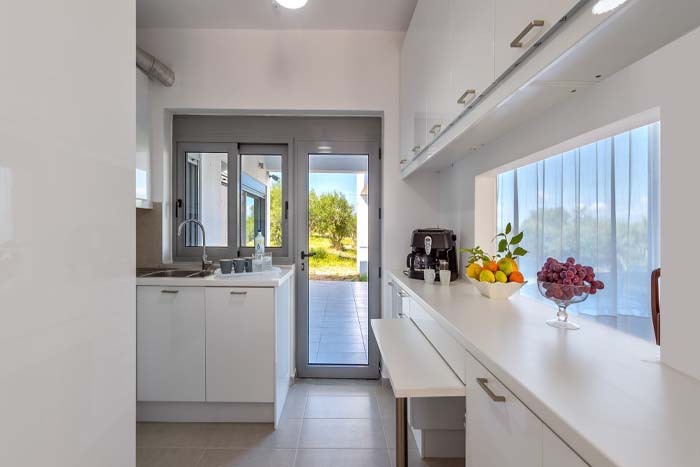 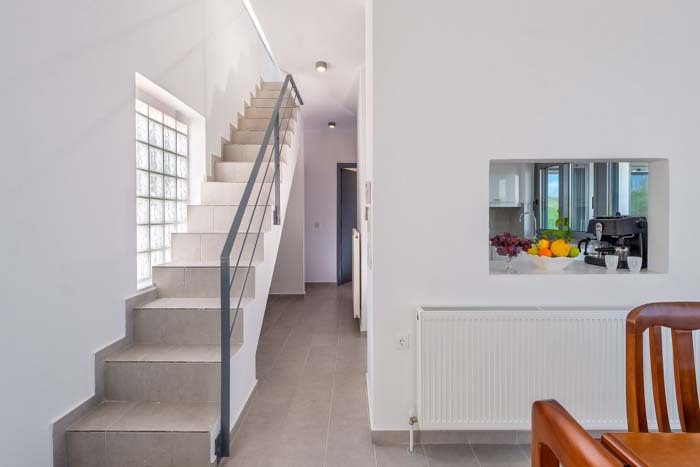 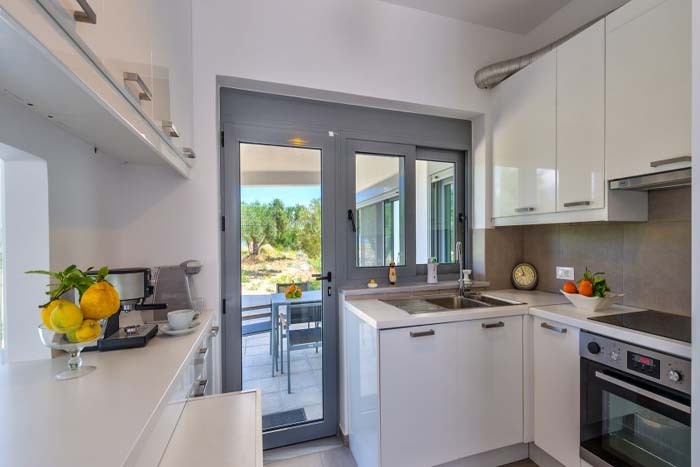 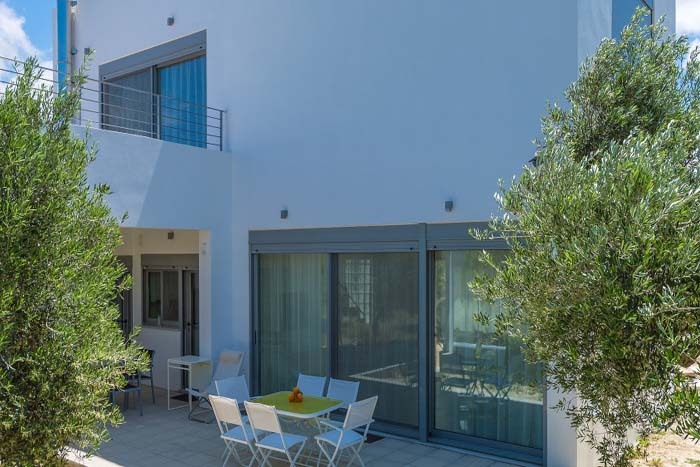 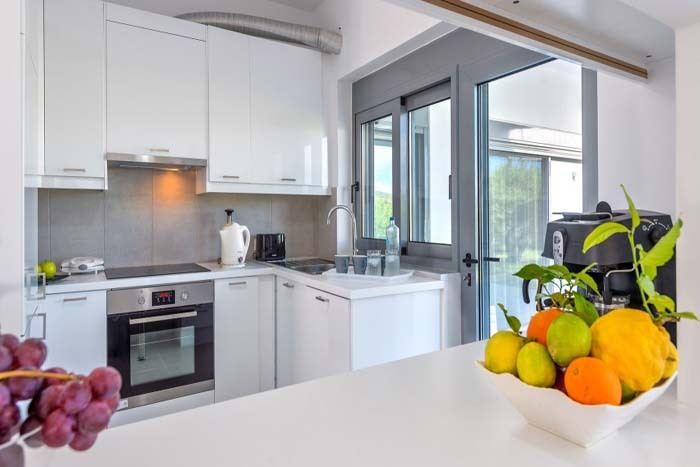 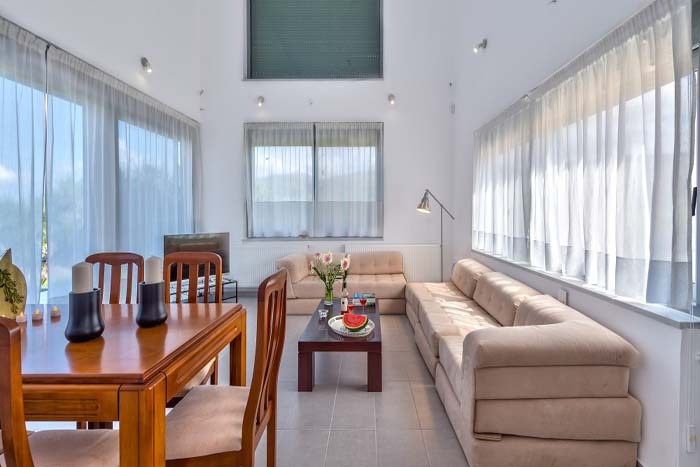 Built in 2013 and located in a peaceful area surrounded by olive groves, these villas provide a relaxing holiday and are ideal for those that want to unwind from the stress of the urban life. 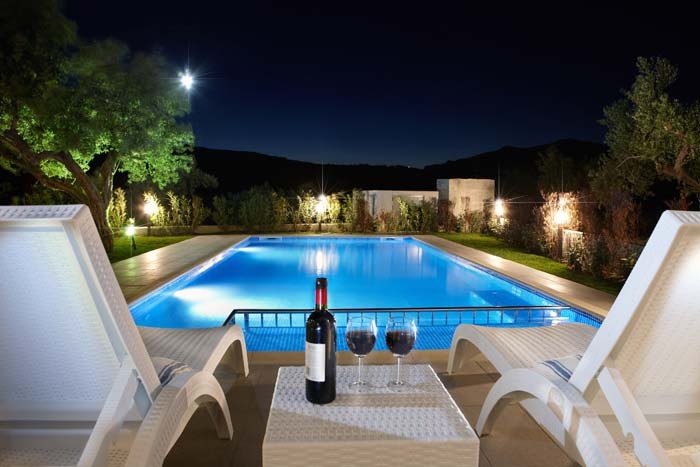 Villa Hara has a 36sqm private pool with a children’s area and hydro massage area. 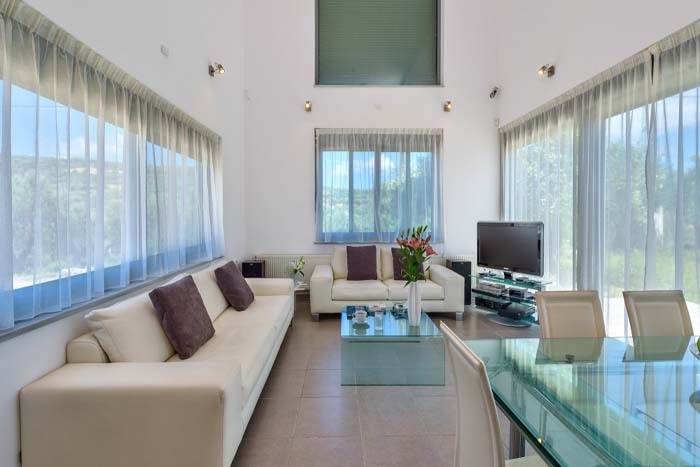 Each villa is built on two levels. 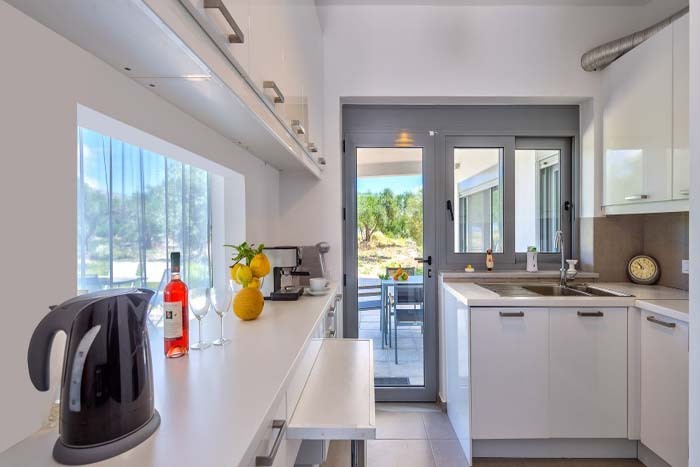 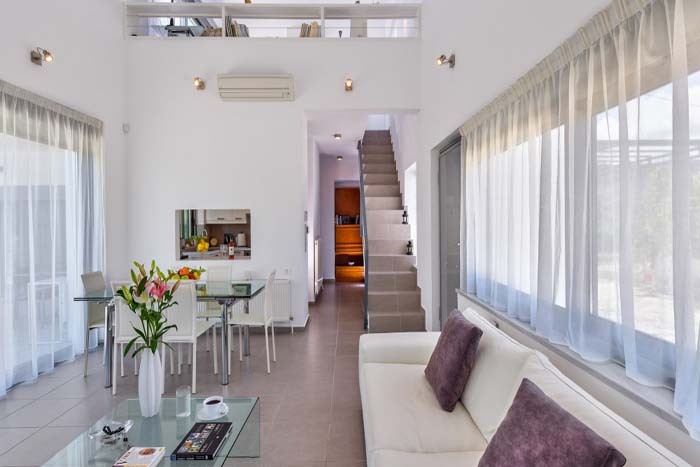 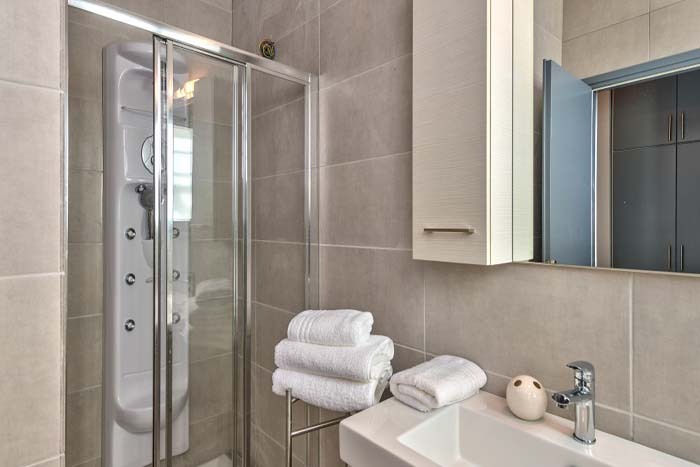 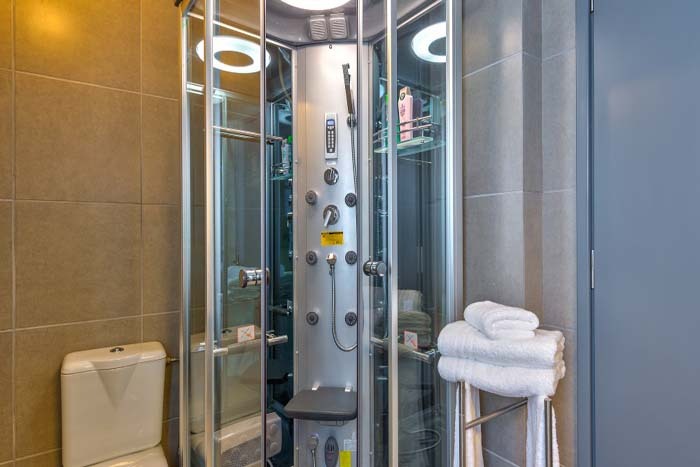 The ground level consists of a living room and dining area, a fully fitted kitchen, a double bedroom, a twin bedroom and two bathrooms, one with a hydro massage shower cabin and one with a shower. 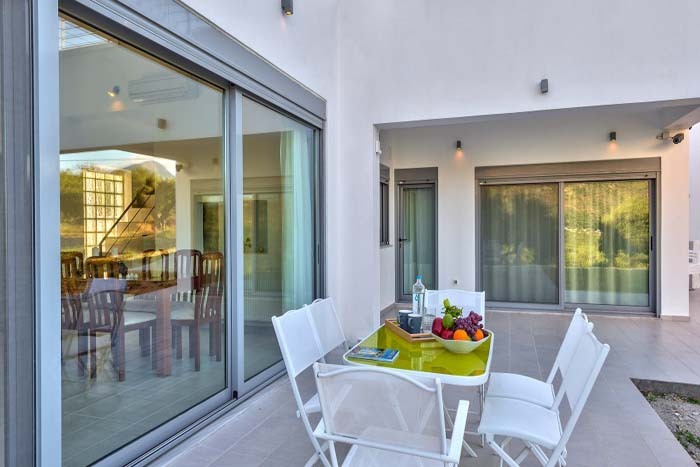 Each villa has a 60sqm veranda with a dining/ sitting area and comfortable lounge chairs to relax and enjoy the scenery. 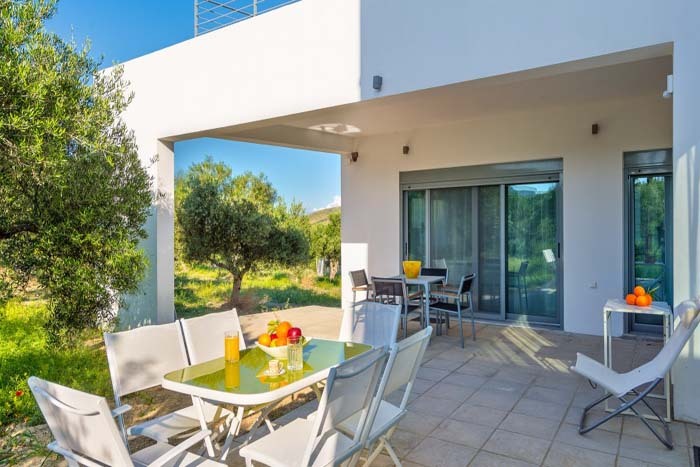 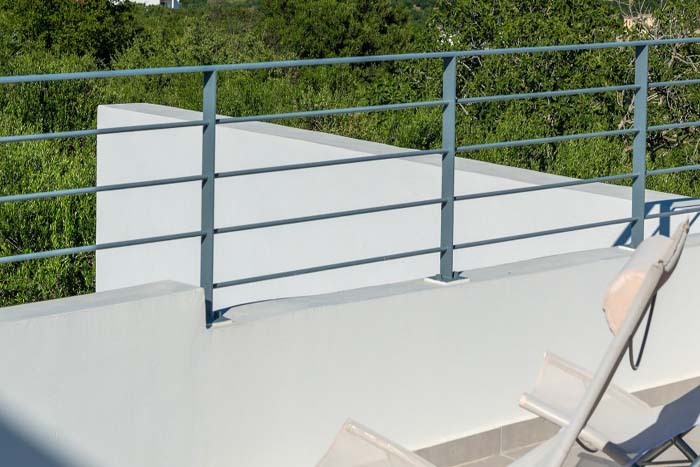 There is a private parking space while villa Hara also has a private swimming pool with a children`s area and a hydro massage and an electric BBQ available for its guests. 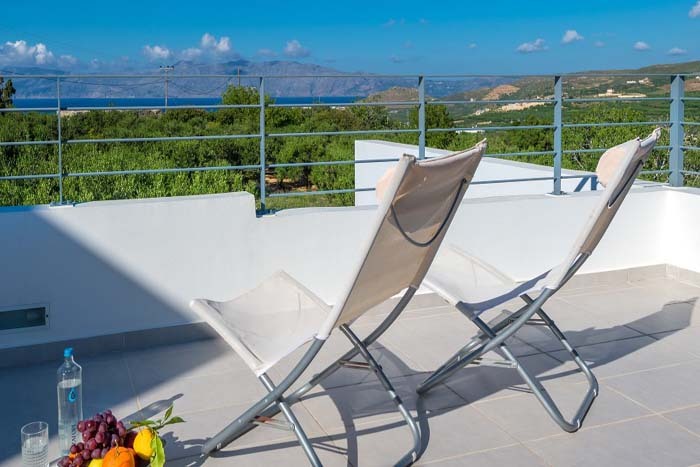 Some of the most beautiful beaches in Crete, like Falassarna, Gramvousa, Balos, Elafonisi are located a few kilometres away so don’t miss to arrange a daily to trip and enjoy a swim in these idyllic places.